James Wyman is an experienced appellate practitioner who is Board Certified by The Florida Bar in Appellate Practice. As part of his appellate practice, Mr. Wyman provides briefing, analysis, and other strategic support to the firm's trial-level litigators. 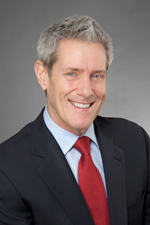 Mr. Wyman returned to Hinshaw & Culbertson LLP in January 2010, after a short break. Previously he was an associate with the firm from April 2005 to September 2009. He was an associate for two years with the Miami law firm of Hicks & Kneale, P.A. He also was an associate with Jorden Burt LLP, and Greenberg Traurig, P.A. Upon graduation from law school, Mr. Wyman was a law clerk for the Honorable Gerald B. Cope, Jr., Florida Third District Court of Appeal. Mr. Wyman graduated 10th in his law school class. In addition to his other honors, he received Book Awards for contracts, legal writing, administrative law, employment law and environmental law. He also received the 1997 College of Law Academic Leadership Award. He was a member of Phi Delta Phi and Seminole Torchbearers, and was an Ausley Scholar. Additionally, during law school, Mr. Wyman was the legal research assistant to Talbot "Sandy" D'Alemberte, the president of Florida State University and former president of the American Bar Association. As an undergraduate Mr. Wyman received the Outstanding Graduate Award and was a member of Alpha Chi National Honor Scholarship Society and Arts & Sciences honor Society. He appeared in Who’s Who in American Universities and Colleges.